Do I Suffer from Patriots Stockholm Syndrome? The date was February 1, 2004, and the Carolina Panthers and New England Patriots were facing off in the Super Bowl. I sat with 4 friends who were Patriots fans, and I was the sole person rooting for the Panthers. The Pats had already won the Super Bowl two years prior, and the Panthers had never won one. The game was exciting, but the Pats won on a last-second Adam Vinatieri field goal. The date was February 6, 2005, and the Philadelphia Eagles and New England Patriots were facing off in the Super Bowl. Although I strongly dislike the Eagles, I was pulling for them that day. After all, they had never won a Super Bowl, while the Pats had won two of the past three Super Bowls. After that day, the Pats had won three of four Super Bowls, and the Eagles had still never won one. Well, allow me to explain the big deal. After that Patriots/Eagles Super Bowl, things started to change for me. The following year, Jake Plummer’s Denver Broncos took care of business against the Patriots in the Divisional Round, and it did not sit well with me. By that point, I had begun to feel that the Patriots were “supposed” to represent the AFC in the Super Bowl every year. All of a sudden, I actually found myself feeling bad for Patriots fans who had to experience losing a playoff game for the first time in 7 years. The year after that; as the Patriots took on the #1-seed 14-2 Chargers in the Divisional Round, I began the game rooting for the Chargers. However, as the game wore on, I found myself changing to root for the Pats. When the Pats ultimately pulled off the upset, I was happy. The next week, when the Pats traveled to Indy for the AFC Championship, I knew that I wanted Peyton Manning to advance to his first Super Bowl….yet, lo and behold, as the Patriots were coughing up a 21-3 lead, I found myself unhappy. 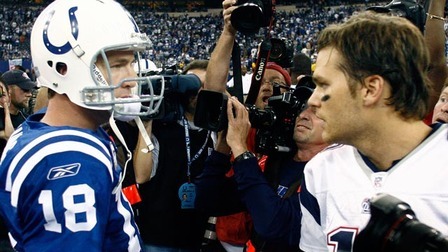 When the Colts won the game, and the Pats walked glumly off the field; I was very disappointed. Then, the next year, the you-know-what hit the fan for non-Patriots fans. 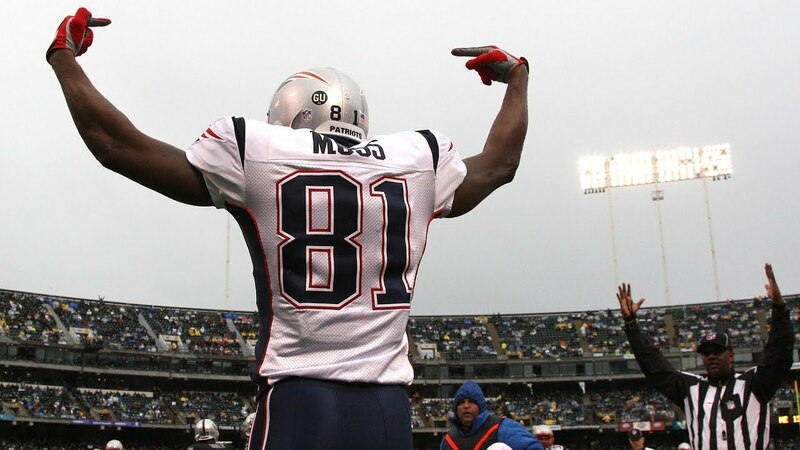 Week 1 brought Spygate, and the Pats – armed with new acquisitions Randy Moss and Wes Welker – went on a rampage through their schedule. Most fans treated the Pats as Public Enemy #1 as the team stormed to an undefeated regular season and set the single-season scoring record. I, on the other hand, loved everything the Pats did. I rooted for them all season long, with a few very notable exceptions. I obviously pulled for the Giants in their thrilling Week 17 loss to the Pats and in their legendary win in Super Bowl XLII, one of the greatest moments of my life. For most people, the thought of shattering Brady’s and Belichick’s hearts was a dream come true. For me, I was thrilled to win an incredible Super Bowl, and I loved and still love that the Giants are the team that knocked off the only 18-0 team in league history. However, I did not get satisfaction from Brady’s and Belichick’s pain. My joy came completely from the Giants’ amazing accomplishments. Back to the Pats now…Since that glorious day 11 years ago when David Tyree pressed a football against his helmet, there have been only three games – all against the Giants (including the Giants’ wondrous second Super Bowl win over the Pats) – when I have rooted against the Pats. While Spygate and then Deflategate have led many to believe that the Pats are the ultimate cheaters, I always find myself saying, “What they are doing worse is no worse than what other teams are doing.” I have had multiple people bring up the fact that BenJarvus Green-Ellis never ever fumbled with the Pats but fumbled a bunch when he went to Cincinnati. Obviously the Pats are up to no good, these other people think. However, I never think the Pats do anything wrong. Heck, I wrote a really long post last January as I became waaaay too excited about the Patriots’ greatness over the years. I never think the Pats do anything wrong. Am I thinking logically? I have no idea. It is as if the Patriots kidnapped me during their 2001 Championship season (the one time when most of America was actually rooting for the Pats), and, by 2005, the team had convinced me that everything with the Patriots is a good thing. By 2007 with Spygate, the Pats had convinced me to defend them at any cost. As I look back, I wonder, “Do I suffer from Patriots Stockholm Syndrome?” I rooted against the Pats in consecutive Super Bowls 14 and 15 years ago, but I have defended them and sympathized with them every step of the way – through wins, losses, and scandal after scandal – since then. I think that is textbook Stockholm Syndrome. Routine: I do not like change. I am not OCD about scheduling, but I do like to have some consistency in my days and weeks. I like to run at 5PM; I like to eat Moe’s on Tuesday nights (and sometimes Thursday nights….and sometimes Friday nights too); I like to start listening to Christmas music on November 18; and I like to eat Thin Mints and listen to The Road to El Dorado soundtrack (Elton John) during the first weekend of the NCAA Basketball Tournament. Normal stuff. Therefore, I like to have the Patriots involved with the Divisional Round, AFC Championship, and Super Bowl. After all, this weekend will be the Pats’ 13th AFC Championship game in 18 seasons, and the team has played in 8 of the past 17 Super Bowls. Seeing Kraft, Belichick, and Brady on those January and February weekends feels just as right as Moe’s and Thin Mints do at their respective times. Nostalgia: Maybe it is because I have a good memory, but I am a very nostalgic person. I can get nostalgic about a week ago, so you can imagine how much nostalgia I have for the entirety of the Pats’ run since 2001. I have discussed the “Routine” issue, and the Pats have been part of my routine for that long. I watched them win their first Super Bowl while I was a sophomore in college; I watched them go 18-1 and lose to the Giants in my first year as a teacher; I watched a Pats team with Kenbrell Tompkins as its main receiving threat come within one win of the Super Bowl in the year when I first met the venerable BTB editors; and I listened to Bill Belichick’s “Mona Lisa Vito” press conference before going to see American Sniper (and being enamored by both Sienna Miller’s attractiveness and the fact that Todd and Sack from Wedding Crashers were reunited) in the theater. Therefore, when I watch a Patriots game, I am flooded with nostalgia from my last three years of college, three years working for AvisBudget, and 12 years teaching at Ramsey High School. Respect: I cut my teeth as a sports fan while watching the dominant Devils teams from 1993 forward. The cornerstone of those Devils teams’ successes was that nobody was bigger than the team. GM Lou Lamoriello had no qualms with letting talented players go if those players were to act selfishly or do anything against team protocol. Those teams had three Hall of Famers (Martin Brodeur, Scott Stevens, Scott Niedermayer) and possibly a fourth (Patrik Elias), and all of those players put the team above individual goals. It was a delight to watch the Devils ride this disciplined approach to 20 years of dominance, and the 2001-2018 Patriots are the football equivalent of the Devils. Actually, to be fair, the Pats have outdone the Devils, considering that the Devils 1993-2012 Devils won 3 championships, appeared in 5 Stanley Cup Finals, and appeared in 6 Conference Finals; all numbers that the Patriots have comfortably beaten (using the hockey equivalents). That said, Brady and Belichick have made an art form out of bringing me-first players to New England and turning them into team players. Additionally, while a team can win a Super Bowl in a season in which its players do many choreographed touchdown dances (see “Eagles, Philadelphia”), it remains noteworthy that the Patriots do not take part in such elaborate numbers. Think of James White and Julian Edelman dominating in the comeback win over Atlanta two years ago, and you do not recall eccentric touchdown celebrations. I am not anti-celebration, but it is nevertheless refreshing to watch a team whose players direct all of their on-field effort toward winning. I also have great respect that, in so many years, we wonder if the Pats are done. We wonder if Brady is too old or if is supporting cast is too weak….but the Pats always find their way to 11 wins. It is incredibly impressive. Perhaps I also have a soft spot for Belichick, because his defense was so dominant in the Giants’ Super Bowl XXV win over Buffalo, my first thrilling moment as a sports fan. Anyway, I have now officially finished detailing the three reasons – routine, nostalgia, and respect – why I pull for the Pats. I had hoped that this self-evaluation would give me insight into whether I am still rational or am suffering from Patriots Stockholm Syndrome. Unfortunately, I still do not have an answer, so you will have to judge for yourselves. All I do know is this: I love Patrick Mahomes. I loved watching his father pitch for the 1999-2000 Mets; I put $20 on the KC QB to win MVP (at 80:1 odds in August); and watching Mahomes play quarterback is a beautiful, Heavenly experience. I want the Chiefs to win their first Super Bowl in 49 years, and I want Andy Reid finally to earn his first ring. This all sounds rational to me now, but why do I sense that I will probably still end up rooting for the Patriots on Sunday? Do I suffer from “Patriots Stockholm Syndrome”?